YouTube Cover | Buy a Professional Design for YouTube Cover | Buy Now. Ask a professional designer of Low Cost Web Agency to create your YouTube cover for your channel. That will make possible for you to mark your difference with the others and to rank above your competitors with your new professional YouTube cover. YouTube is a wonderful tool to share videos and increase your business awareness. A successful Web Marketing strategy must include a branded YouTube Channel. As it is known, YouTube was bought by Google , thus Google gives a great importance to the quality of your YouTube presence in its natural Search Engine results, to rank your Brand and Website. Social Ranking is fundamental! As YouTube account owner, you can develop your own channel which can be followed by millions of people. You will be able to host on your YouTube channel all your videos. You can share your different videos to everyone or to a Qualified network. 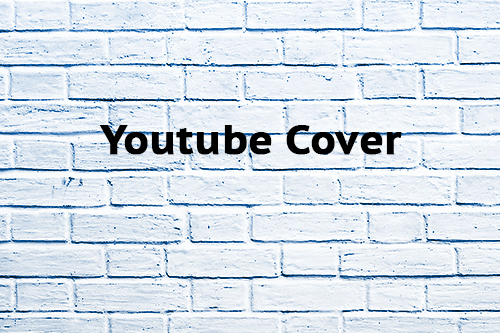 Enhance visibility with your Professional YouTube Cover for your YouTube Channel. Share your video on other social media as Facebook, LinkedIn with just a single click. Your YouTube cover is the first image that appears to people when looking for your brand, your products or your company. Its design is an opportunity to prove your professionalism and attract future contacts to grow your audience. We will provide you all our expertise to create your personalized cover. You can decide if you want the source files of your YouTube cover or if you just need the Web version. You can ask us to upload your new cover directly on YouTube channel. Many options are available to fit your needs and allowing you to get the price which gives you satisfaction. It’s Low Cost Web Agency motto. We want everybody to get a professional image on the web without spending a lot of money. You opt for a premium YouTube cover template and our designer will adapt it accordingly to your specifications. The use of a template gives a frame for our production and allows us to reduce your final price. However, if you prefer to get a cover picture without using a template you can ask us for a quote on our product custom banner. What else, buy now a YouTube Cover made by Low Cost Web Agency!